Tamil Nadu (Tamil: தமிழ்நாடு) is one of the states in the south of India. The capital of this state is Chennai. 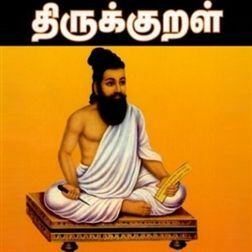 Tamil is the language spoken in Tamil Nadu. 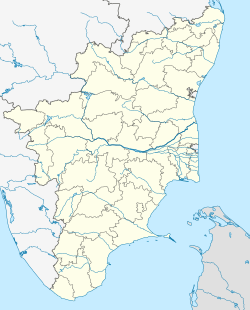 Coimbatore, Tiruchirapalli, Salem,Madurai, Tirunelveli,Thanjavur and Thoothukudi are other large cities of Tamil Nadu. It is surrounded by the Bay of Bengal on the east and the Indian Ocean on the south. And also the Arabian Sea in the west for a smaller area. Kerala, Karnataka and Andhra Pradesh are its neighbouring states. The Tamilians are very proud of their language and heritage. In traditional Indian geography it falls under the South Indian zone. The eastern and western tips of the state are defined by the Point Calimere and Mudumalai wildlife sanctuaries while the southernmost tip is Kanniya Kumari, also called Cape Comorin, the Indian peninsula's southernmost point. With an area of 130,058 km2 and over 62 million people, Tamil Nadu is the 11th largest state in India. The major river is Kaveri which meets the needs of agriculture and drinking water to a large extent. The other important rivers are south Pennar, Palar, Vaigai, Tamira bharani, Manimuthar, Noyyal and Bhavani. 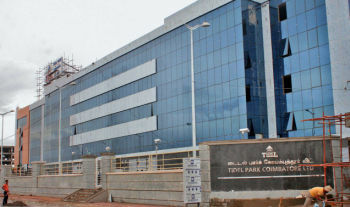 Chennai, Coimbatore, Salem, Sivaganga, Cuddalore, Thanjavur, Dharmapuri, Nilgiris, Dindigul, Theni, Erode, Ariyalur, Pudukkottai, Tiruppur, Thoothukudi, Kanchipuram, Tiruchirappalli, Kanyakumari, Tirunelveli, Karur, Tiruvallur, Krishnagiri, Tiruvannamalai, Madurai, Thiruvarur, Nagapattinam, Vellore, Namakkal, Viluppuram, Perambalur, Virudhunagar, Ramanathapuram. Overflowing during cooking of Pongal indicates overflowing of joy and prosperity. Megalithic Sarcophagus burial from Tamil Nadu. Virampatnam jewellery from funerary burial, 2nd century BC, Tamil Nadu. Souttoukeny jewellery, 2nd century B.C. Tamil Nadu. Tamil Nadu Facts for Kids. Kiddle Encyclopedia.